I received a promotional code to help facilitate this feature, regardless, all thoughts and images below are genuine and copyright Momma Told Me Blog 2016. Momma Told Me: Like a kid in a candy store. Every time I'd visit my paternal grandmother, growing up, (which wasn't nearly often enough since she lived clear across the country) I'd race through her door and make a beeline for the 'hidden' candy jar. It wasn't really a jar. In fact, I suspect it was actually an antique genuine Crystal bowl- I still recall the way the light would come through the dinette window and sparkle on the beveled edges. 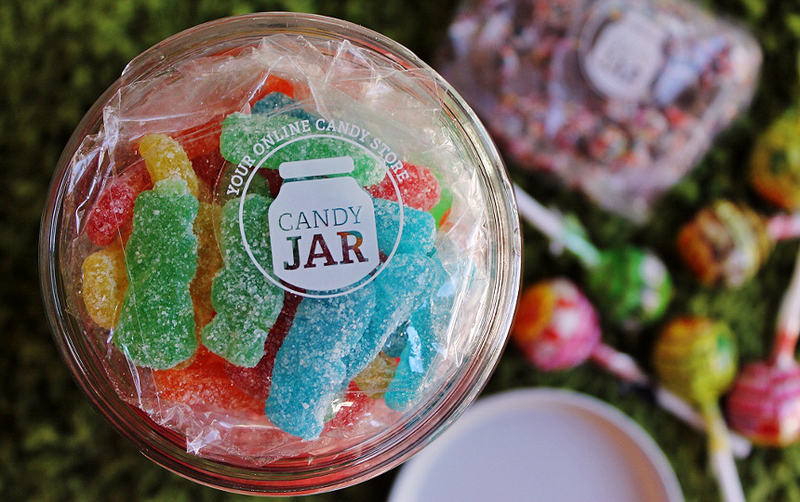 Could a container full of candy be magical? It was practically a sugar siren for small hands. I've met very few people in my life who claim to not enjoy sweets. Sure, you can prefer cake to pie, or chocolate to vanilla, but to be entirely immune to all of sugar's magical forms, is quite impressive indeed. It really only takes one sweet- one perfect for you candy, to lure you in and make you a candy fan. For the 99.9% of the population I've met, who enjoy sweets, I've also learned that sugar for sugar's sake is not merely the solution. Some like their sweets fruity or chewy, while others like wafers and root beer barrels, or fizzing Pop Rocks. Everyone has a favorite, but hardly anyone can choose just one. And that's why a jar full of jellybeans on your office desk will always make the work day more pleasant. Sweets are the universal language- that connector that brings each and every one of us back to childhood for just a moment in time. I am a candy girl and I love to share candy with others. 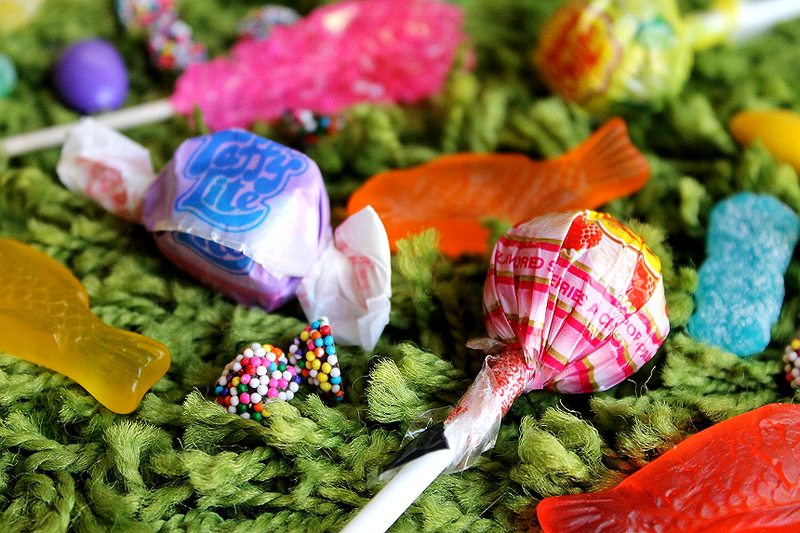 Candy, in all it's colorful shapes and sizes, and playful textures, simply puts a smile on my face. But, as we mentioned, everyone's favorites vary so wildly. What if there was a modern 'penny store' online- virtual barrels lined with your favorite sweets, just waiting to be scooped and put into your own personal Candy Jar? Well, my friends, there is- And it's appropriately called CandyJar.com. When I first heard about this concept back on some sort of Kiskstarter-esque site a few years back I was all in. Heck yea I'd back a company willing to set me loose with in a seemingly never-ending variety virtual candy store. Sure, the joy of literally scooping the candy into your jar isn't quite there- but the spirit is, as you pick your jar size and select each of the 'scoops' that will fill it. 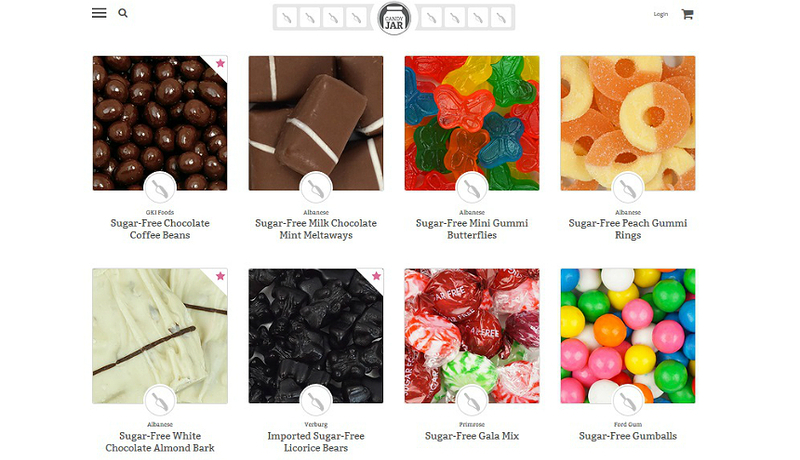 Browse the virtual barrels of candy, with hundreds of options from specialty gourmet chocolates and brittle to everyday penny candy favorites, character gummis, seasonal offerings and more. This is one candy store that's always getting in new inventory. 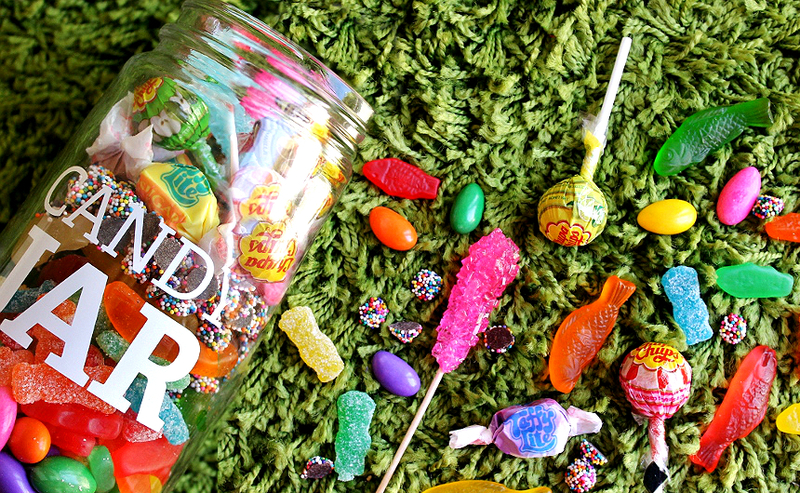 So, why do I love Candy Jar? Outside the obviously reason that it makes me quite literally feel like a 'kid in a candy store' every time I log on to build a custom jar of sweets- Many of you may recall that I've had several family members diagnosed pre-diabetic in the past year. Back in the Spring my grandfather actually spent a few months in the hospital resulting in prescription induced diabetes- and for the greater part of this year he's been off sugar entirely. 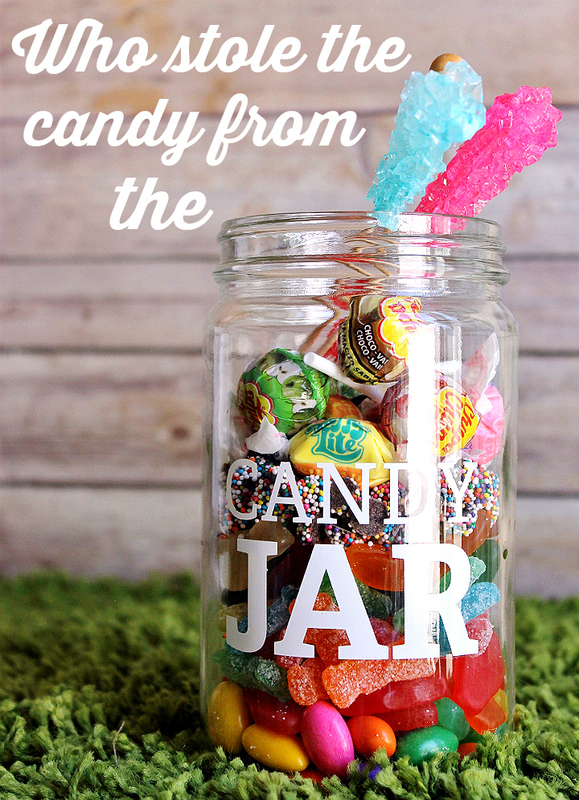 Since sweets are something I've always associated with my father's parents, and a long hospital and rehabilitation stay can be quite miserable, I have very fond thoughts of Candy Jar. It might surprise you, but among the specialty options Candy Jar offers they offer an impressive range of Sugar Free sweets. Shopping for a treat for a diabetic or pre-diabetic can feel very dull, and often leads to the same items over and over. Candy Jar quite literally had an entire jar of sugar free options, and more. I built my grandfather his own Candy Jar- and even the nurses considered him quite spoiled for the variety inside. Sugar free chocolates for my grandmother, butterscotch and hard candies for him. And, as someone who watches her own blood sugar, thanks to hereditary markers, I am ever so grateful to maintain my loving relationship with candy thanks to no-sugar-added and sugar free options available at Candy Jar. 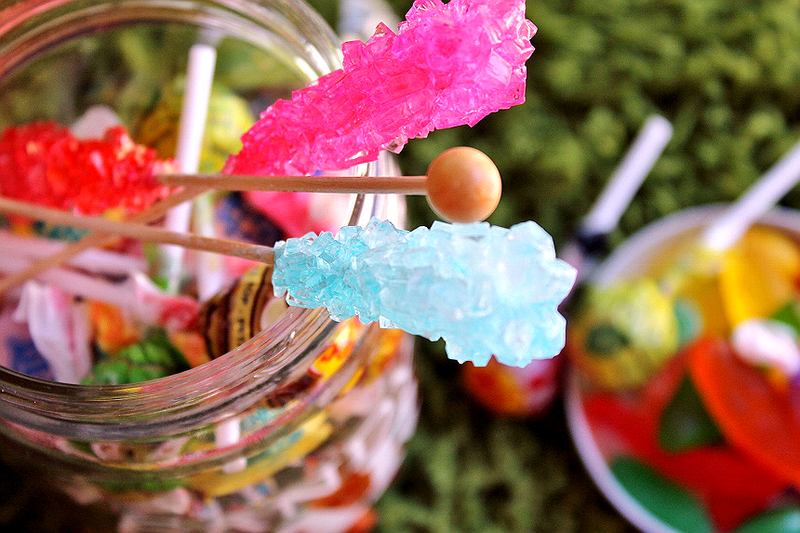 Of course, there are a few traditional favorites full of real genuine sugar I can never resist- Rock Candy sticks and sour kids always go into the jar as a treat. My favorite low sugar or sugar free options? No Sugar Added Jordan Almonds, Sugar Free Swedish Style Fish, and Imported Sugar Free Licorice Bears. 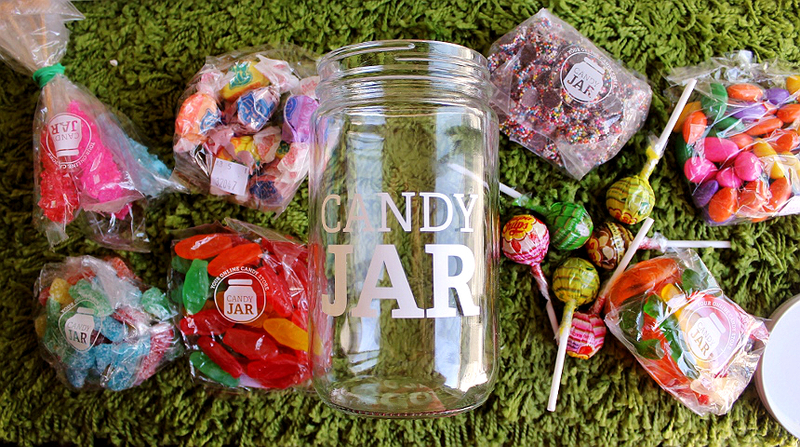 When you order a Candy Jar all of your 'scoops' will arrive in pre-portioned bags, tucked inside your jar. This helps keep items fresh, and allows you to separate things such as sour candies from chocolates, if desired. I always layer everything into my jar, regardless, I rather like the surprise of digging for a favorite treat. 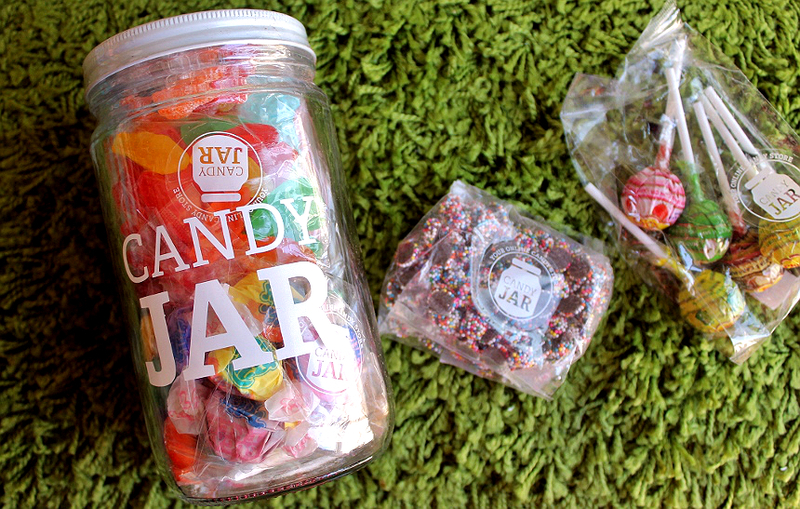 The jars are also wonderful for gifting- and there truly is a jar for everyone at Candy Jar- if you're not sure what to scoop, you can gift a gift certificate and let your recipient enjoy the fun themselves! 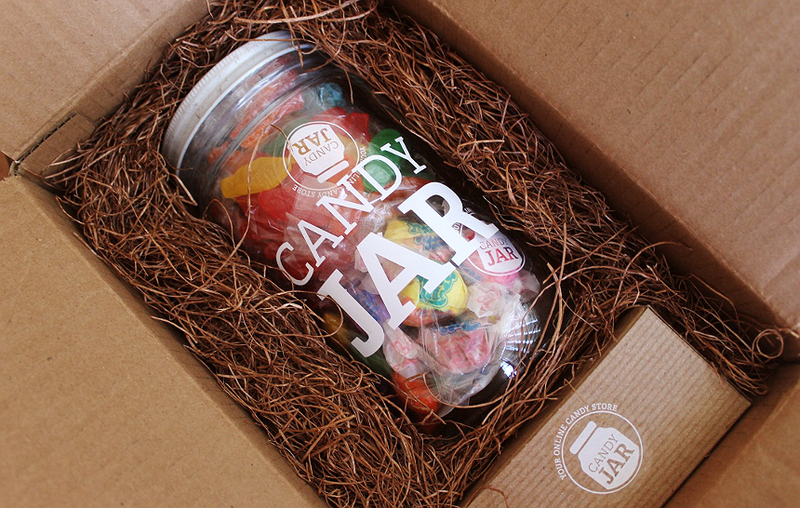 Candy Jar isn't a subscription service- though it could be, if you wanted. It's a place where you can go online to play in the virtual aisles of a giant, always changing, candy store. Shopping to fill your own personal candy jar, or a gift for a loved one or friend, truly gives that 'kid in a candy store' feeling. You'll find nostalgic favorites, and all new cravings in a constantly changing supply of flavors and formats, with a broad range of specialty and premium selections to make your dream jar come true. 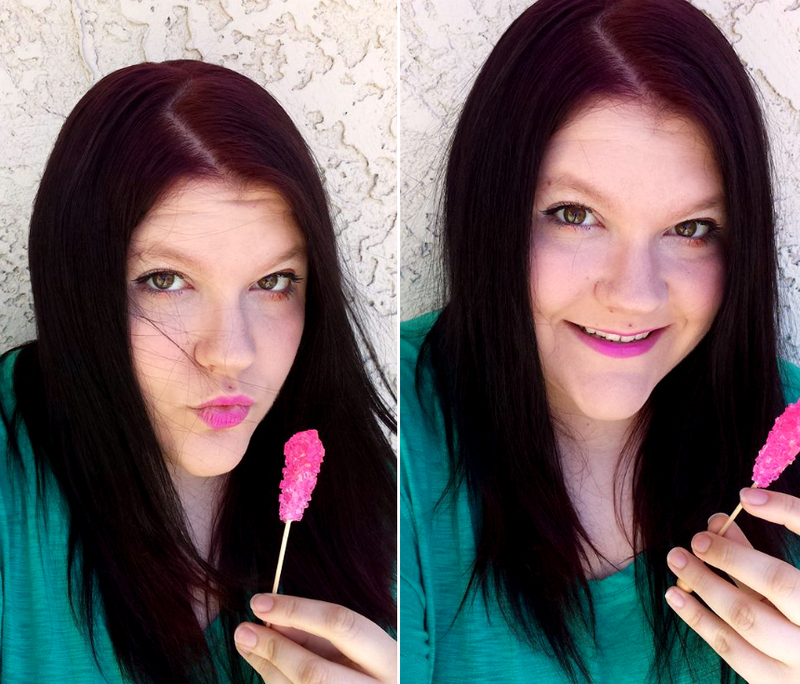 Candy makes pretty much anyone happy- it's just hard not to smile when you think of your favorite sweet. Check out Candy Jar today (but I warned you!) and follow them on Facebook and Twitter for new selection sneak peeks, promotions, and more. What Daughter Says: Candy Store offers something for every kid at heart, even my pre-diabetic family members, so we can continue to share memories of sweet smiles.